Christ commanded us to go into all the world and preach the gospel to everyone. But how well have we fulfilled this Great Commission? How can we, as Methodists, bring the gospel to the rest of the world? What is ALDERSGATE SG about? Aldersgate SG is the annual keynote event of The Methodist Church in Singapore to celebrate our Wesleyan heritage and sets our hearts on fire with renewed vigour to serve God through social action, evangelism and discipleship wherever we are. Bishop Emeritus Dr Hwa Yung served as Bishop of the Methodist Church in Malaysia from 2004-2012. 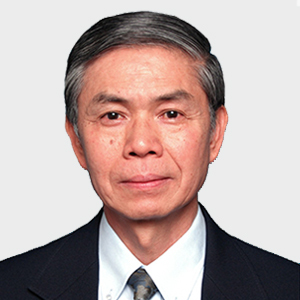 He began ministry as a pastor of the Methodist Church in Malaysia in 1981. Over the years he has been a lecturer and then Principal of the Malaysia Theological Seminary (STM). He had also served three years as the founding Director of the Centre for the Study of Christianity in Asia, Trinity Theological College, Singapore. Dr Hwa Yung studied in the University of Tasmania (Australia), London University and Asbury Theological Seminary (USA). He has been in the past engaged in various ministries internationally, including being the Chairman of the Board of the Oxford Centre for the Mission Studies, Oxford, and a member of the Congress Management Committee for the 3rd Lausanne Congress for World Evangelization, Cape Town 2010. He has also authored various books, including Bribery and Corruption; Mangoes or Bananas? The Quest for an Authentic Asian Christian Theology, and published a substantial numbers of academic papers and articles in the fields of mission and Asian Christianity. 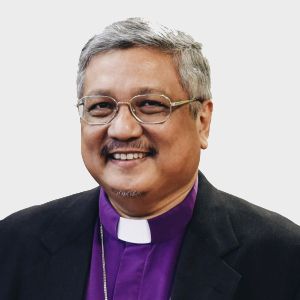 Bishop Emeritus Dr Robert Solomon served as Bishop of The Methodist Church in Singapore from 2000-2012. He had served previously as a medical doctor, church pastor, principal of Trinity Theological College and president of the National Council of Churches of Singapore. Dr Solomon has degrees in medicine, theology, intercultural studies, and a PhD in pastoral theology from the University of Edinburgh. He has contributed articles to books, theological dictionaries and journals and authored many books, including The Reformation: The Thoughts, Lives and Legacy of the Reformers; The Trinity and the Christian Life; In Spirit and In Truth: Thoughts on Worship. Among his latest books is The Stories of Jesus: Interpreting and Applying the Parables. He presently has an active itinerant ministry of preaching and teaching in Singapore and abroad. Mandarin translation provided via headsets. Supper provided after service. Mandarin translation provided via headsets. Dinner provided after service. Registration required for all events (for security, catering, logistics, and follow-up). Sign up by 6 May. Cry-room facilities available; limited to 1 accompanying parent per child. How do I register to attend the event and what is the cost? Fill in and submit your registration here by 6 May. Admission is free. Registration is required for all events, for the purposes of security, catering, logistics, and follow-up. We’ll email a reminder shortly before the event with your registration slip; simply submit this at the door of the event, for ease of entry. What can I expect for each event? Can I bring non-Methodist friends to Aldersgate SG? Of course, and we would encourage you to do so. Our Methodist heritage is founded entirely on the teaching of the Bible, with emphasis on discipleship, social justice and outreach. These are values which we believe transcend denominational lines. We would welcome all visitors and newcomers. What's the significance of "Aldersgate"? So Aldersgate SG is to commemorate the "strangely warmed" experience of John Wesley, the founder of Methodism? Why Should I Learn about the Methodist or Wesleyan Heritage? Isn't it enough that I'm a Christian and read the Bible? I know all about Methodism and our Wesleyan Heritage. Is there any compelling reason I should attend Aldersgate SG? Who exactly is this John Wesley? John Wesley (1703-1791) founded Methodism. He was born to a strong Anglican family and was ordained in the Anglican ministry after graduating from Oxford where he was a fine scholar. Wesley had his share of disappointments in the earlier part of his life, but after his "strangely warmed"
“It was wonderful to worship God together as a family of Christ. The messages were really Christ- and Bible-centred." This is my first time attending the Aldersgate event and I found the session very meaningful and relevant to me. I gained a new perspective of work, especially on the motivation behind delivering high-quality work, and started to reflect on the role of religion in the marketplace. I enjoyed the 2-day convention and hope to explore more of similar events in the future. As we sang our hearts out to God and prayed in unison, such unity left a deep impression in me. Bishop’s sermon was a timely reminder for us as a people called Methodists not to dwell just on past spiritual experience.